Since 1944, the rhythms of daily life in the small rural town of La Conchita in Cuba’s western province of Pinar del Río have been tied to a bell that chimes at 7:50 am, noon, 12:50 pm, and 5 pm. This is the bell of the food-processing factory La Conchita, which has chimed regularly for over 70 years to alert the workers and their families to starting and closing times and the lunch break. The factory, which preserves and cans guava paste, pineapple chunks, bonito fish, tomato puree, and local produce, employs 20 percent of the town’s population. Local residents work as machine operators, assembly-line workers, food technologists, and mechanics, jobs that span a range of skills and qualifications. The factory was the lifeblood of the community, but it was making the workers and their families sick. The old Soviet-era machinery and obsolete technology produced excess waste that clogged the nearby river with black sludge. The chimneys emitted thick plumes of smoke that caused respiratory problems such as asthma for residents and workers. There were high rates of cancer among community residents, particularly elderly people and children. In 2015, Cuban national environmental authorities announced the temporary closure of the factory. The announcement was devastating to a town that depended on the factory for its livelihood and existence. In response to this decision, a group of local children between 8 and 14 years old made a documentary to record the history of the factory and show why it should be remodeled to reduce contamination rather than simply shut down. They named their film Siete Y 50 (Seven 50), after the factory’s morning bell, which had served as a point of reference for the community. The girls and boys had received training in audio-visual production through a project known as Cámara Chica (Little Camera). 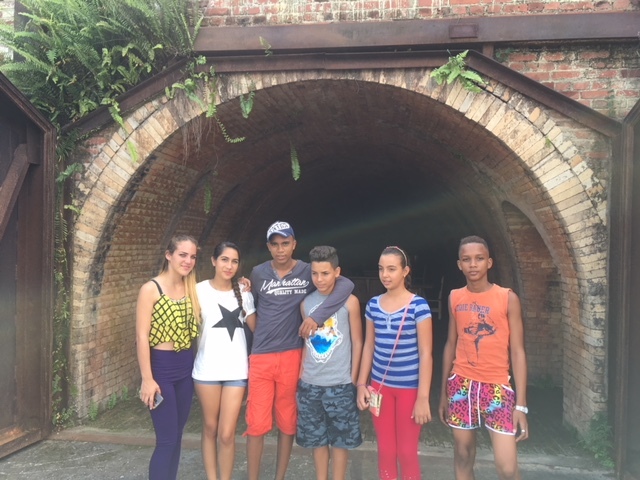 Under the tutelage of Juan Carlos Baños Fernández, a producer at the local station Provincial TV, the children spent six months researching the history of the factory; interviewing their mothers, fathers, and grandparents who worked in it; and documenting the environmental impact. The project serves as an exemplar of socially engaged activism among a younger generation in Cuba who are finding new tools to tell their stories in a period of greater uncertainty and change. The factory is an artifact of Cuban history and a symbol of the utopian vision of industrialism as progress. In the film, we see interviews with former directors, retired factory workers, and a local historian. La Conchita was inaugurated in 1944 by the two sons of the magnate Pío Ferro, one of whom later became a senator of the republic. During a new postwar era of mass consumption influenced by North American market culture, the factory turned Cuba’s agricultural products into easily consumed commodities for middle-class households. After the revolution, the Ferro brothers left the country and on October 14, 1960, the factory was nationalized and expanded its export production. In the film, retired workers and former directors speak about the attempts to build worker-led management and a collective consciousness through popular assemblies and cultural activities. They recall Che Guevara’s visit to the factory. A carnival in La Conchita brought a thousand people from the town together for a night of food and dancing. The massive changes of that era are embodied in the current director, a local black woman named Fara María Hernández. Hernández speaks about the challenges posed by the US embargo and the fall of the Soviet Union, such as the inability to replace obsolete machinery. In the documentary, she and other specialists discuss the solutions that could fix the problems: new technology that would minimize waste, a tall chimney to expel smoke far from human consumption, and testing of contaminant levels in order to reduce them. It’s hard to question the importance of a factory that, as one worker says, is “the soul of the community,” much less the underlying value of food processing in a system that has espoused consumer needs as part of the socialist ethic. As a result of the influence of the film, however, the factory was remodeled to reduce contamination and it was allowed to stay open. For the children, it was clear evidence of the impact they could have through their storytelling. On the highway leading to the town of La Conchita, tourist buses on their way to the popular holiday destination of Viñales tailgate slow-moving horse carriages. The streets of the rural town are unpaved and quiet, with most traffic consisting of pedestrians, bicycles, horse carriages, and the occasional motorbike or car. Over the past century, the population of the town has grown, as workers were drawn to the food-processing factory as well as a ceramics factory, which closed last year. The pastel-colored houses are small and rectangular, with flat roofs. One of them, on a small street off the main road, looks just like the others except for the artisanal woodwork on the front door and windows. This house belongs to Geovani Jiménez Izquierdo, known affectionately by the community as “Pipo.” Pipo has a successful business designing and selling artisanal wood furniture to large hotels and at trade fairs. He uses the proceeds of his business to fund a community cultural project in La Conchita known as Los Chapuserios, of which Cámara Chica is one element. Pipo is an affable man in his mid-50s with a shaved head and a shy smile. He came to La Conchita as a child from a rural area about five miles away known as Municipio Consolación. His parents were farmers and his father was a musician in a local folkloric group. Pipo’s father died when he was 11, and his mother could not afford to raise all of her children, so she sent Pipo to live with his aunt and attend secondary school in La Conchita. After school, he stayed in the town. In 2006, Pipo began to design and build artisanal furniture: tables and chairs made of roughly hewn and polished slabs of wood, with no metal or screws. He started a small workshop in his backyard, gradually filling larger orders from hotels and businesses and expanding his clientele. As Pipo’s business grew and he started making more profits, he was aware that people in the small community of La Conchita viewed him with some suspicion. His neighbors in the town were mostly workers in the factories, or vendors getting by from day to day, and they did not like the idea of someone so wealthy living among them. There was also a general discomfort with the growing wealth disparities in Cuban society, which have arisen after the legalization of small businesses, alongside other factors. The value of egalitarianism had been long ingrained by the revolution, and for years there was rough parity of salaries among all Cubans. 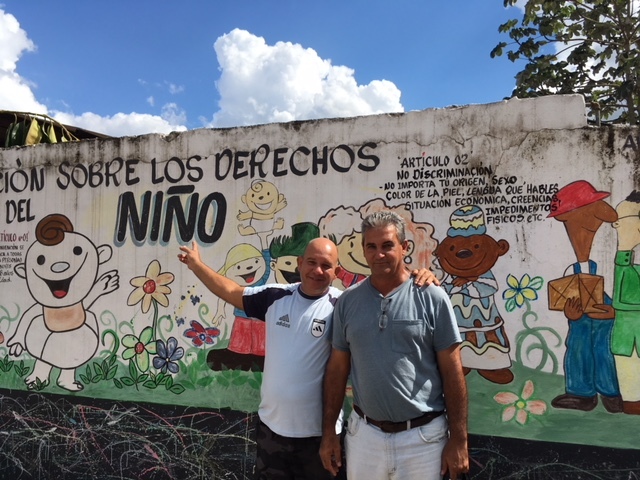 Pipo himself felt a need to give back to the community where he had grown up, and so in 2008 he founded the cultural project Los Chapuserios, to provide a space for the town’s children to engage in cultural activities like dance, theater, painting, and music. In 2016, the local ceramics factory, Fabrica Tejar, was slated to close, and Pipo saw an opportunity to expand both his growing business and the cultural project. He negotiated a deal with the Institute of Industrial Materials to renovate the factory space, renting part of it for his furniture workshop and giving the rest of it to Los Chapuserios to house a community cultural center, named Tejar Dolores. When he approached the people of the town with his idea, some were cautious, perhaps suspecting that he was trying to use them for his own ends. Others thought he would be providing a useful service, and were interested in enrolling their children in a dance or music class. Pipo managed to convince them that he was handing over the space to them to renovate as a community-managed cultural space. The first stage of renovations happened between February and March of last year. Local people from the community volunteered their time to remove the rusting industrial machinery and clean the walls and rooms. Pipo built furniture for the spaces and funded the construction of new bathrooms and other renovations. The cultural center consists of a library, with a full-time librarian paid by the government. There is a museum, with artifacts taken from the factory and the town. There are other rooms for art and theater classes and pre-school activities. In the main courtyard, there is a stage for performances. Colorful murals illustrating the rights of children adorn the walls. Inside a tunnel, the paintings of the art teacher Luis Valdés and his students are displayed, and at the far end of the tunnel, some local women sell handicrafts on Sundays. On the other side of Tejar Dolores is the furniture workshop. Hundreds of wooden chairs, awaiting order and delivery, are used for meetings of Cámara Chica or other groups. There are piles of raw wood, cutting machinery, and workbenches. The conversion of the Fabrica Tejar into a community cultural center mirrors the transformations taking place in Havana, where spaces such as La Fábrica de Arte Cubano (The Cuban Art Factory) were opened by the Cuban rock musician and artist X Alfonso in the renovated premises of a former cooking-oil factory in the suburb of Vedado. La Fábrica is anchored strongly in the visual arts, with several installations and exhibitions, but it also hosts cinema, music, and dance, promoting direct contact between artists and the community. By registering under the category of community projects, these centers are given official permission to occupy the unused grounds of state factories, but they are not as carefully monitored and regulated as private businesses. They are helping rejuvenate the postindustrial city and giving greater profile to the arts and cultural education, especially for a younger generation. This is even more valuable in rural areas, like Pinar del Río, that are often cut off from the cultural life of the cities. On a Saturday afternoon in Tejar Dolores, the drama teacher Lizbeth Días, a young black woman with purple hair, is running through a rehearsal with a group of small children for a dramatic performance of the 1937 poem “Tourist in a Solar,” by Afro-Cuban poet Nicolás Guillén (a solar is a working-class tenement, occupied mostly by black Cubans). The poem comically depicts residents of a solar, who are living four to a room and sick with tuberculosis, as living the high life. Diás directs the children, calling out stage directions, prompting lines, urging a little one to hurry up. The community center is alive this afternoon. Art teacher Valdés and his students are organizing an exhibition of their newest works in the tunnel: landscapes of the mountainous Pinar del Río countryside, with glassy lakes, misty plains, and banana trees. Preschool children are engaged in group activities in the library. Eight children from the Cámara Chica project, ranging from 10 to 16 years old, are meeting with TV producer Baños Fernández in the woodworking space. They look like tweens anywhere, playing on their cell phones (although none of them have Internet access). Cámara Chica was launched in Cuba four years ago by the British Council, along with the Cuban education and culture ministries and the University of the Arts (ISA). It was implemented in six provinces across the country, including Havana. The idea was to bring audio-visual training and equipment to children who live in rural areas with less access to culture and film. In La Conchita, the Cámara Chica project began with a Handycam recorder, a MacBook for editing, and a microphone. The children were given the tools and training, but they decided on the stories they wanted to tell. The children have produced fictional pieces, public-service announcements, short documentaries, and reports. Although overall direction is provided by Baños Fernández, the children carry out most aspects of production themselves, from writing scripts, acting, and interviewing subjects to filming, lighting, editing, and production. In addition to the film Siete Y 50, they produced a documentary Entre muñecas (Among Dolls), the story of Sarita Vilaú, an older woman in the town who makes hundreds of dolls to keep her company and alleviate her loneliness. The public-service announcements and documentary films have screened on local and national state television, and at regional and international film festivals. The US-based nonprofit Americas Media Initiative and its director, Alexandra Halkin, have been collaborating with Cámara Chica since 2014. In 2016, AMI facilitated a video-postcard exchange between Cámara Chica and the Baton Rouge ESL primary school LaBelle Aire. The films made by the children have been awarded over a dozen prizes. After a screening at the ISA in Havana, one girl was awestruck. “We got a standing ovation, as if we were great filmmakers!” she said. The children have expressed interest in careers in filmmaking and audio-visual production. Sixteen-year-old Yusmila Alonso wants to study communications at the ISA, but residential scholarships are hard to come by. Alexandra Molina, who is passionate about filmmaking, would like to study cinema and be the TV host of a program for adolescents. Others feel that they don’t need a university education, but can continue to train in the community and produce media where they live.